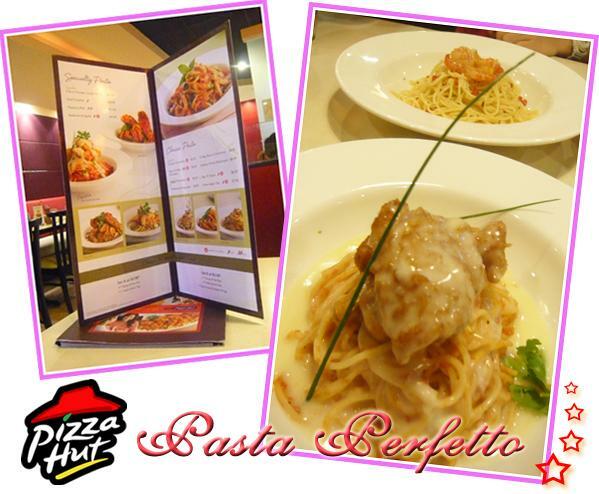 You might have seen the Pizza Hut ad teasers about their new Pasta Perfetto (note the spelling – not Perfectto). Is it really as good as what they say in the press ads and commercials? We decided to give it a try and review it like how we did for the Swensens Ice-Cream Buffet at Ion Orchard. 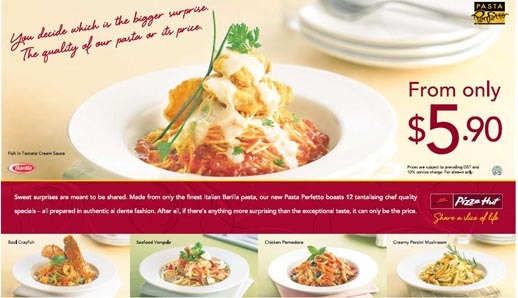 HSBC credit cardholders are offered a 1-for-1 Pasta Perfetto deal. It is applicable at most Pizza hut restaurants everyday, including weekends. Do note that you will be paying for a Pasta Perfetto Specialty Pasta and the free one had to be a Classic Pasta. For our free pasta, TY ordered a Prawn Aglio Olio ($7.50) – This is the perfect choice if you love the mild spicy kick that comes with fresh prawns on spaghetti with olive oil, freshly crushed garlic and sliced chilli padi. The Fish in Tomato Cream Sauce Pasta looks very appealing presentation-wise. Another plus is its strong cream sauce smell that makes you want to dive straight into it. Mix well and you are good to go for a yummy pasta meal. The Aglio Olio was spicy and the prawn was very fresh – very appetising as well. For an additional $5, you can upgrade your meal to include a soft drink, 3 roasted chicken wings and the soup of the day. 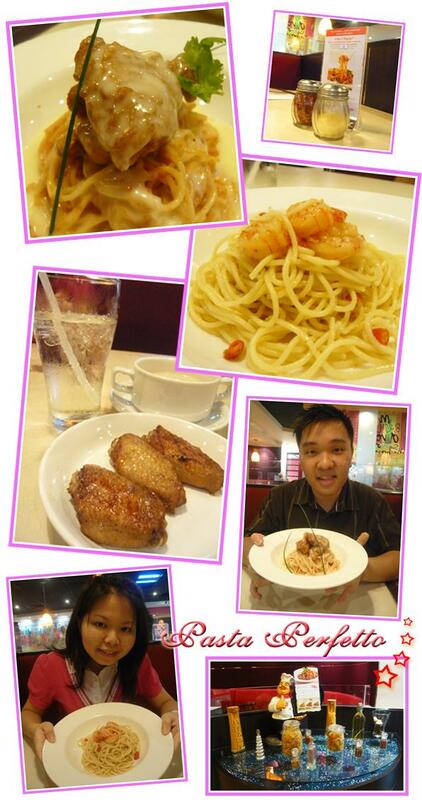 Our total bill for 2 comes up to $19.90 for 2 pasta, 3 roasted chicken wings, 1 soft drink and soup of the day. Quite reasonable thanks to the HSBC 1-for-1 Pasta Perfetto Offer. .-= kelvin´s last blog ..Look at that pretty girl!!! (Viewer discretion is advised) =-. The blog post is worth reading. The clarity and structure that shines from this article. Now-a-days blogs are used in each and every field. The idea that we recieve from them has no words to describe. The attribute needed is the power of creativity within itself via learning, thinking, creating and rigorous study. Therefore the blog post is truely helpful for the readers. Thank you a lot for writing such a wonderful article. I await your future article with great curiosity. I’ve never tried the pasta at Pizza Hut. So thanks for this information, I will try the pasta next time I’m there.